Whilst re-assembing the spoked rear wheel, I thought I would check the parts list for confirmation that all was as it should be, as there was a circular tin cap behind the drive side bearing which looked a bit surplus to requirements. On checking, I noticed that not only should this cap be there, but there should also be an O ring against it and a distance piece between the two bearings Neither of which were there when I took it apart. Any info as to what the cap and seal do would be appreciated, as there is no obvious location for the thin O ring. There is also a spacer on the disc side of the bearing which is also missing, part no;1763 6050. Well the spacer (23) is there to allow you to tighten the spindle bolt without clamping up the wheel bearings. It's essential. Don't know about no. 19. Part no;s 24 & 25 are puzzling too at this stage. Number 19 is the part against which the head of the spindle rests when you tighten it up. As far as I can see, there is no obvious location for the O ring (24), no groove or seat for it to locate. Assembled in the sequence in the parts list, it looks as though it would get squashed as you tighten the spindle nut. 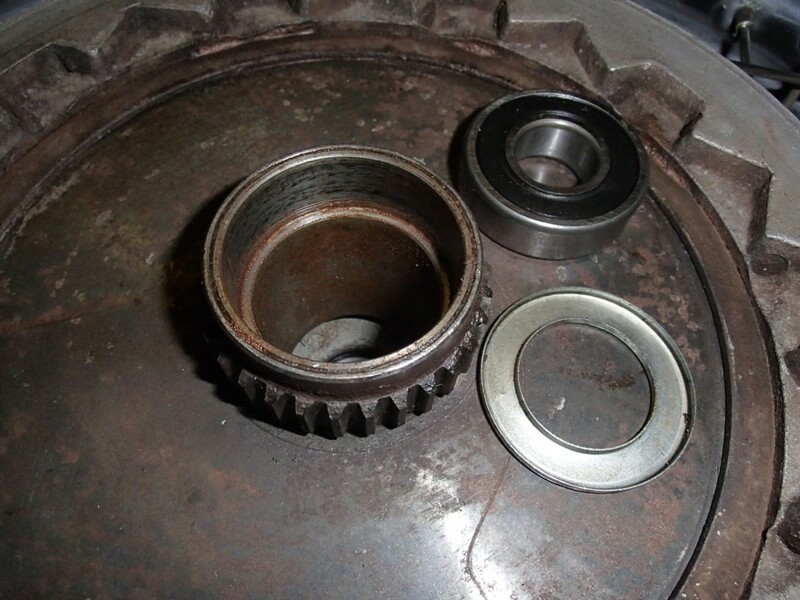 The tin cap washer seems a strange design that appears as though it would also simply get squeezed against the bearing as the spindle nut is tightened. Presumably the spacer is dimensioned to avoid squashing cup & o-ring. Hh ha, I don't blame you! I would like to resolve the currently confusing issue of the role that the tin space cap and O ring actually do though. Otherwise it may well have to come apart again. My idea, they prevent the grease in the spacer tunnel to seep out when hot (?). 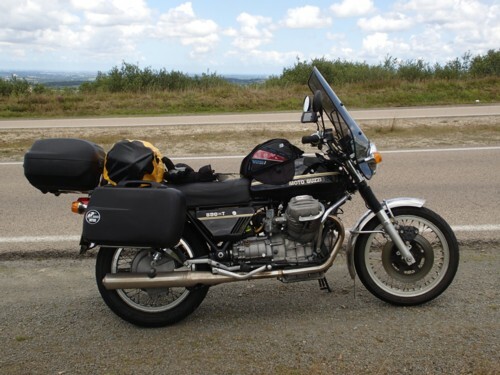 The bevel box can get quite hot on long summer rides & the hub is a good heat sink. Unless I am misunderstanding the whole thing the tin washer looks like a grease retainer as used on Brit' bikes before the advent of sealed bearings.As Brian said,the distance piece between the two bearing inner races is crucial to avoid bearing failure.Does the O ring sit in the tin washer? No, o-ring goes in first, then tin washer lip-side out. Old brit bikes had a felt washer in the tin, this is different. In the parts list at Stein Dinse, the tin washer is referred to as a "Grease Cup" I was thinking that the O ring may be placed where we used to put the felt washer in times gone by.Without seeing the parts or knowing the dimensions it's hard to tell. That's what I thought when I first saw it, I thought it was the remains of an old bearing cover. The O ring is very thin by the look of it on S-D website, so I don't think it would do much sat in the groove of the tin washer. There is no other O ring groove, so as far as I can see it would simply be compressed by the tin washer. The bearing spacer is a no-brainer as you say, I'm just glad I had it all apart, as things could have got 'interesting' at some stage. JPC, if the tin washer is fitted lip-side out, there would then be sharp edges butting up against the rubber seals of the bearing? And no, tin cup outer lip only would rest on outer race... bit of clearance btw inner lip & rubber seal. Yes, it does like that's the correct sequence. But the concave side of the cup is 2-3mm deep, and the O ring only looks about 1mm or so. Difficult to scale it from a pic I know? Trawling Guzziology now for some Richardson-enlightenment. The radiused edge of the convex side of the tin cup (pfffff) will nicely fit the thin o-ring to the corner of the recess.